Hawaii Robofest | This site will contain all current information about Hawaii Robofest activities. 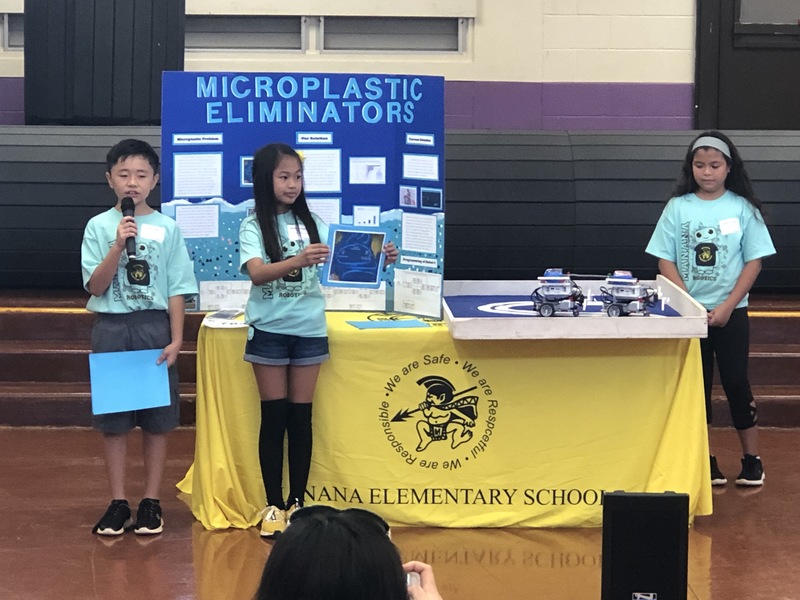 The 12th annual Hawaii Robofest Regional Qualifier was held this year at Pearl City High School on Saturday, April 13th, 2019. 46 teams from 11 different schools competed for trophies in several autonomous robotics activities. A big “MAHALO!” to the Pearl City High School Robotics Club for hosting us again. 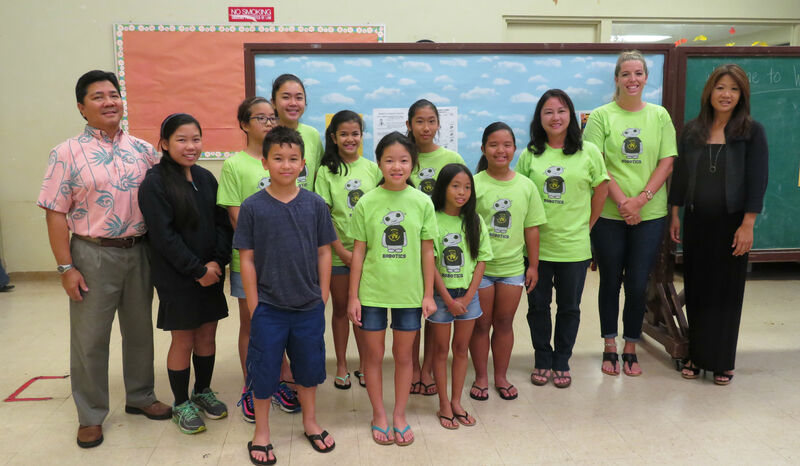 Special thanks to our prime sponsors Bank of Hawaii Foundation and partner, Friends of Hawaii Robotics. Last, but not least, KUDOS to all the coaches, parents, teachers, school administrators and community volunteers for their support and to all the hard working students who demonstrated their innovative minds and technical skills. Well done! On a sad note, this was our last Regional in Hawaii…at least for a while until other organizers are found. We hope our schools will continue on with their robotics and other STEAM-based activities to foster student interest in science, technology and engineering. 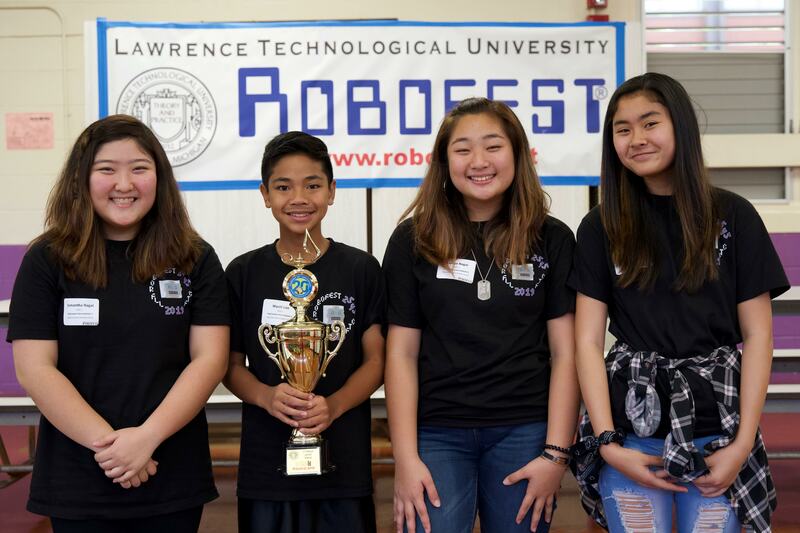 The 11th annual Hawaii Robofest Regional Event was held this year at Pearl City High School on Saturday, April 7th, 2018. There were 71 teams (breaking last year’s record) at the event from 17 different elementary and middle schools on Oahu. A big “MAHALO!” to the Pearl City High School Robotics Club for hosting us again. Special thanks to our Ilima sponsor Friends of Hawaii Robotics, sponsor Hawaii Technology Development Corp and all our community partners for their generous support. 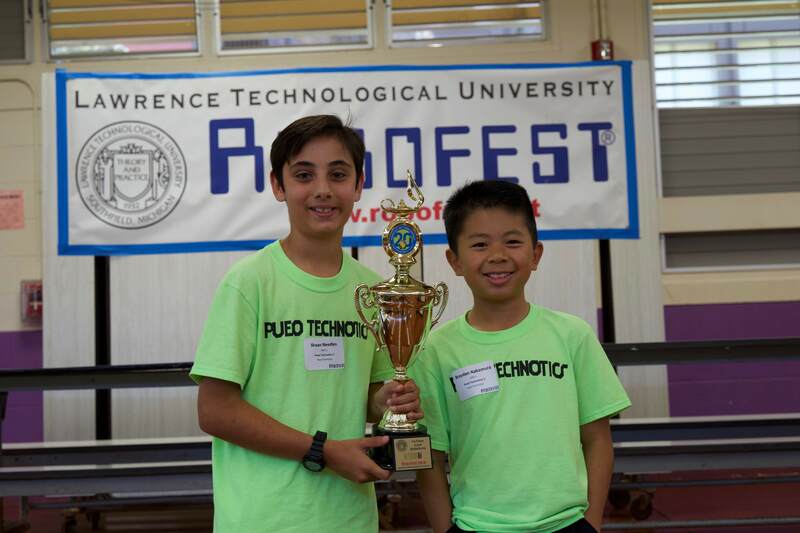 This year’s game mission is the Autonomous tennis Ball Collector (AtBC) – a bot mission for the game competition at the 11th annual Hawaii Robofest Regional Tournament (April 7, 2018, Pearl City High School). Special MAHALO! 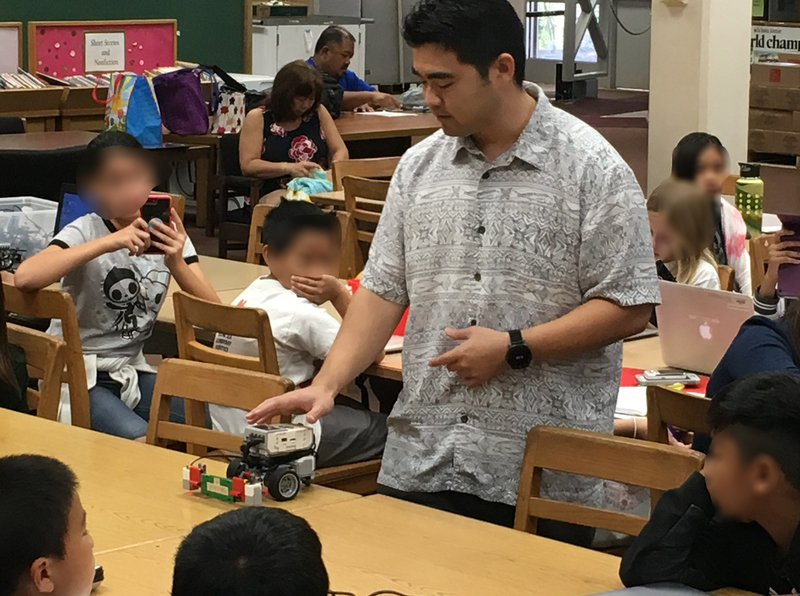 to Mr. Gary Kanamori (former Robofest coach and current Vice Principal at Pearl City High School) for facilitating a great programming workshop for our budding gamers! 50 students attended the EV3/NXT programming workshop on Saturday, February 3rd. Lots of basic programming concepts and competition tips for those who attended. Welcome to the 11th annual Hawaii Robofest Kickoff! We are excited to begin another season of fun, creative and innovative activities with our Hawaii ohana! 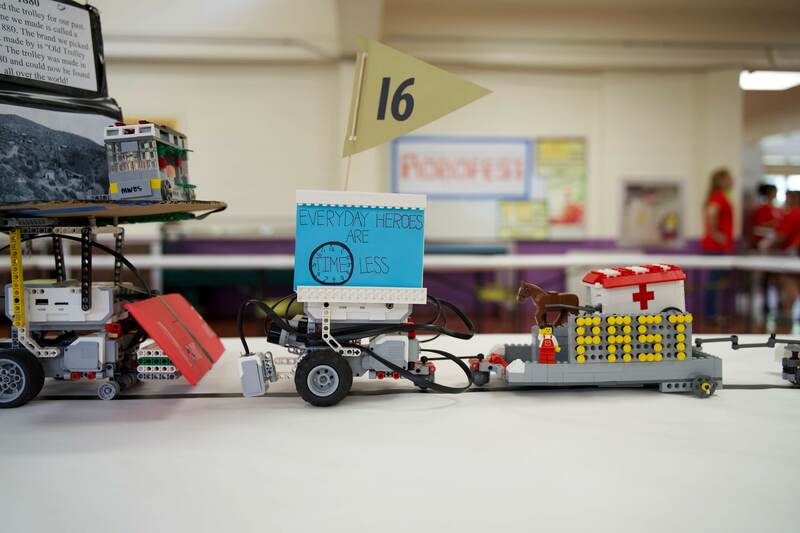 This year, we’ve created a short video of tips and reminders — especially for coaches — addressing things we need to consider for each of the 4 Hawaii Robofest activities. Thanks to all our volunteer Activity Chairs (see list below) for the information and to Jake Tamaye (Highlands Intermediate School) for shooting and editing the video. If you have any questions, you can email us at info(at)hifusioned.org. Please check out both websites: The national Robofest website for official rules, forms, forums and videos as well as our local website for information for the Hawaii Robofest Regional and registration. Best wishes for a fun and successful Hawaii Robofest season! The 11th annual Hawaii Robofest Regional will be held on Saturday, April 7th, 2018, at Pearl City High School (cafeteria). Competitive activities are Game, Exhibition and Bottle SumoBot. Our fun and popular RoboParade will also be presented! Just a friendly reminder to all coaches who would like to register for this season’s Hawaii Robofest Regional – registration has been open since September 2017 and will close on February 23rd, 2018. All fees must be collected by the deadline. Registration instructions are on the attached Team Information sheet (click on link below for pdf). Mahalo for your kokua!